Google Duo is a Video calling application that was released on August 16 this year 2016 by Google itself. On the launch of this app, it took about 48Hours before it was available globally. After its propagation, that was when the app becomes a hit on Google Playstore. Today, the 25th of August 2016 made it 10 days Google DUO was released. 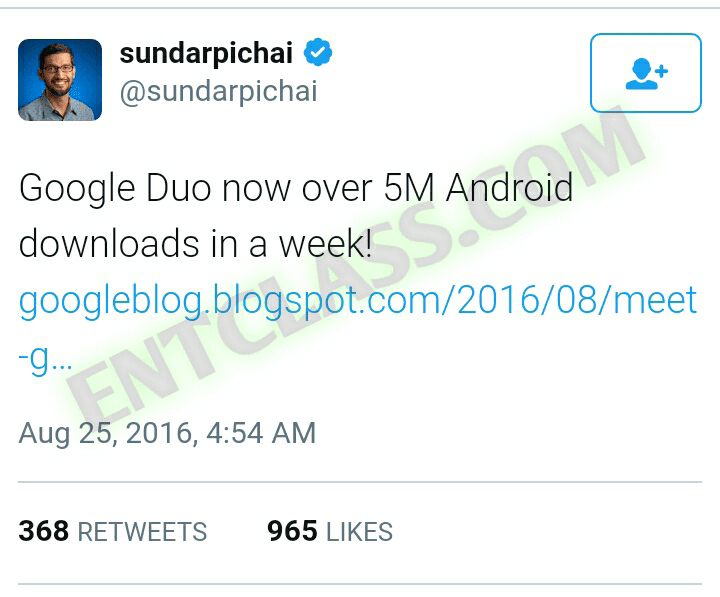 And now they are celebrating another milestone of hitting over 5 million downloads on Android. 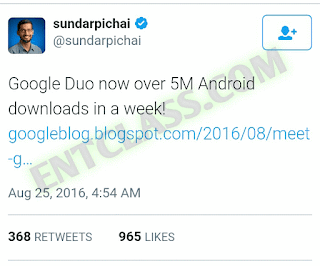 i.e; more than 5 million people have Google Duo installed on their Android devices. Currently as of the time of publishing this article, Google Playstore still records 1 Million+ downloads. Probably it might take little more time to update. Recently, i published an article regarding how Google Duo spot the number 1 position in Top Free Apps on Google Playstore. It's quite impressive as Duo has reached and maintained the first spot in the Top New Free overall list in many countries around the world, from the US to the UK, India, Spain, Germany, and France. 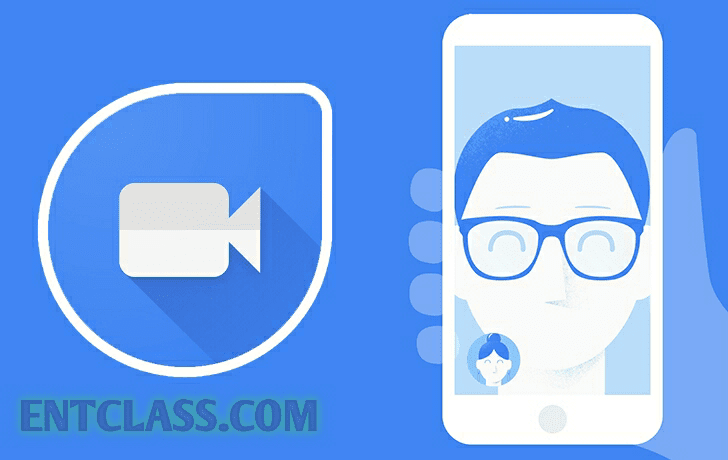 Google DUO is unique and that is the most reason of its rapid growth.